Dog owners: Listen up (err, read up). 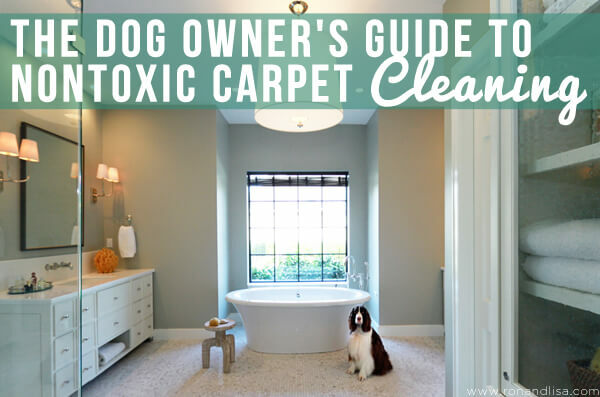 If you’ve been frustrated with Fido’s occasional accidents or lack of manners and don’t want to resort to toxic (or expensive) carpet cleaning, then you’ll love these easy, affordable and simple recipes to clean up any mess on your carpet. You may even already have these nontoxic and natural ingredients in your kitchen right now. Got a solution that isn’t listed? We’d love to hear about it the comments section (or, just let us know your favorite one below from Foam Frenzy, The Earth Friendly Cleaning Experts). Top photo by Jessie Preza Photography.